Supply and demand, and market economics work? Shocking! Do they? How much are rents expected to decrease? Yeah, the massive building boom going on right now is a complete illusion. Historically speaking; hardly a “boom”. From 1945-1979 SF constructed an average of 32,000 units per decade. Currently, even with all the supposedly incredible amounts of housing we’re constructing — that some people continually complain about — we’re only on track to realize about 22,000 units this decade. Our production is actually rather pathetic and until we make it easier and faster to build more housing, housing costs will continue to rise. Here come the canned replies. Not even builders want a part of the numbers these zealots are throwing out. Right? No one saw that one coming! I am not sure that this is evidence that “market economics works.” If anything, it shows that the market over estimated the demand for luxury rentals, and the City’s piss poor policies has inhibited construction of more modest rentals that the city really needs. Exactly. This is what happens everywhere. People rail against luxury development, the economy eventually stalls, developers are forced to sell way lower than they expected, and middle-income housing is born. Of course it would be better to just make it easier for people to build, but barring a sudden stroke of good sense, that’s how it’ll continue to work. Agreed in so far as that this is the long term effect and a desired effect, but not necessarily the best path. If regulatory costs were lowered, and the market not skewed towards luxury development, the bubbles would smoothe out and the corrections less severe. Hardly. 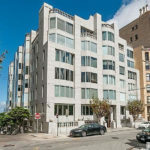 Landlords take luxury units off the market and restrict supply before they let luxury units become “modest rentals.” LLs aim to maximize profit, and that means doing everything they can to keep rents high. A developer cannot afford to keep a luxury rental building empty. We are not talking about someone choosing to forgo renting a room out of their house. A large development has HUGE carry costs for a developer, a developer cannot let a building sit empty. If you can cite any significant number of units taken “off the market” I would love to see your evidence. What will happen is what happens everywhere else–prices will come down, which forces prices down along the full spectrum of rentals and for-sale units. Those aiming to maximize profit by keeping units empty in a down market will be out of business soon. Funny how competition works. You speak so authoritatively for something that (a) absolutely does not happen and (b) doesn’t even make sense mathematically. Not to mention that one landlord removing one unit has absolutely no impact on the rental market as a whole if they are the only one operating out of that strategy. You are correct in that landlords seek to maximize profit. Which is why they don’t do your made up scheme. plus new units are not on rent control, so there is no strategic reason to keep units off in a down market to preserve future gains….they can easily raise rents when the market gets tighter. That behavior COULD be true, in certain circumstances, for landlords of older buildings. But that’s a whole different kettle of fish. This is not entirely accurate. Prices are going to drop and will drop much further. Jasper/Crescent Heights may not lower their rates as much as other landlords but EQR, UDR, Essex, SR etc. will. It’s more about occupancy than maximizing profit. Can you show me some instances where developers were just dying to build some “modest rentals” and the City turned them down? It’s not that the city turned them down, it’s that the city’s policies have made it all but impossible to make a profit on more modest construction. Essentially, the added regulatory expense skews the market towards construction of higher end real estate where margins are higher. Accordingly, the market is not allowed to function properly. Is it the regulatory expense, or simply the total rising costs of not just compliance but also land, labor, etc? If you have any hard data please share and show your math. I agree that the market is not functioning properly but in a much broader context that mainly revolves around monetary policy. “modest” does not exist in a market with extremely high demand from wealthy people in the absence of supply. If the point you’re making is that “the market” is an abstraction, and it’s the participants who set the prices, then the market doesn’t correct prices either, the participants do. In any case, I am not sure the analysis changes much. there is no such thing as “luxury rental building” in SF, and there is no way to build for the middle market unless there is a subsidization. 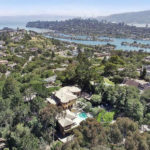 If you build a sh!thole in SF, it will still sell for $1M+ and then [someone] will call it luxury because of the price. there is too much pent up demand at the top end and the best way to level off is to build more and let the high end overpay, and then those of us only in the top 5% can follow. When EQR started its 340 fremont project in 2014, for example, after buying it from the estate of archstone, pro forma rents were around $4.00 per rentable square foot. Now the building is near opening and they are setting asking rents at near $6.00 per rentable square foot. During the term of the leaseup and first year turnover its almost for sure they will not hold that level or achieve growth on the $6.00 rent — and that’s what they’re saying to the market — BUT those were hugely, recently bloated expectations that will not be met. There is also a ton of rental supply that was underwritten in 2011/2012 when condo financing was still difficult and costly and there’s a bulge of new unit supply. Most major REIT landlords price rents off an algorithm that keeps vacancy to a minimum and that will quickly leads to rents lowered to get to 94% vacancy asap. However, the project will come in well over their “underwriting” proforma and will very likely be “accretive” to their earnings, unless they completely lost control of construction cost in that bubble. These are only drops from hyper-forward expectations on the leading edge of a late bubble. its probably a very good thing to burn off some of that hype, and makes a soft landing much more likely that a bubble pop. this, This, THIS. There’s been such rapid rent escalation over the last ~5 years that rents could fall 20% (though they won’t) and any landlord who’s owned for more than 1 or 2 years will still be making far, far more than they projected when they bought. Wow, Louis certainly knows what he’s talking about. Spot on! I’m curious about this bubble “soft landing” you speak of. Can you cite any examples of bubbles that had “soft landings”? If I follow Louis’ explanations, we’ve seen more “soft landings” than bubble bursts in the Bay Area. I think of some of the disastrous see-through downtown/foreclosure swaths that have ravaged some boom/bust cities like Houston, Dallas, Oklahoma City and Atlanta in different overbuild cycles, and I recognize that never quite happened here: that in all the “bubbles” I’ve witnessed in San Francisco (mid-80s/Haight, Castro and Noe Valley; mid-90s/SOMA and South Park; early 2000s/Mission, Duboce Triangle and Noe again; current 2011-2016/ most of above plus NOPA, Glen Park, Rincon and Bernal…and notably, much of Oakland), the neighborhoods never went dark, they just leveled off or slowed down their price climbs. This suggests to me that the investment forces hovering over San Francisco & the Bay Area are pretty savvy and layered-deep, and international. Whole outside markets wait for the currently active ones to cool off before they step in and engage, and the core parts of the urban Bay Area never bottom out as we’ve seen in the see-through cities I mentioned above or even in the Central Valley, outer Solano and Contra Costa, and comparable “fringe” segments of the LA Basin. Not every housing cycle ends in a “bubble”, in fact most do not. Often prices settle, with stagnancy, slow appreciating, or slow depreciation. That’s what he means by a soft landing. Anyway, real estate economists think we’ll see a slow appreciation until at least the end of 2018, meaning tangible increase in prices but gradual enough that they will not be perceptible. Some of the haywire, knowingly overbidding multiple offer numbers will not be repeatable, of course, but that the PPSFs on average will not change too much. His name was Ben Bernanke. That’s a very good explanation. Managing investor expectations with a conservative bent is the wisest course of action, but isn’t the best evidence of what’s really happening. Commercial, office and residential rents are far above even 3 years ago. Consider that 95%+ of the landlords are not holding new buildings, but older buildings acquired years if not decades ago. They continue to earn out-sized cash flow from their holdings. Exactly. Any new equity, or new acquisitions, up to say 2013 should perform well unless they are completely screwed up in execution, get stuck with 25% on site for resi etc. 2014 onwards you are really on the cusp and many things have to keep lining up. Last guys in with least experience I would not want to be (with). PE fund I manage started paring back on VNQ 15 mos ago (eqr is about 3% of that). Still like the companies and assets by and large, and with 10-15% drop in price would start back in. Largest concern there would be interest rates rising, more than over concentration in sf/nyc. What’s your prognosis for new projects that haven’t broken ground? (a) the”last-in” projects that finance at the end of the up cycle and open for business in a trough. they are usually exposed to loss of value — not a reduced profit, but a loss of part of the cost of production. workouts, change of ownership, bank completions, recapitalizations etc. either sell at a loss or bump along to next up cycle. 180 New Montgomery is a good case – underwritten as a top end condo 2006-7 at well over $1500 psf sales, didnt make it to go and went all the way to the bottem post 2008, empty, came back to life when office leasing came back. Leased early in new cycle, probably got tepid returns esp after years of losses. (b) “next cycle” projects that dont make it and just have to wait till next time. Smaller weaker owners will sell, and larger owners that dont have reporting pressures or fund liquidation pressures should hold on. The only really good time to invest equity in this phase, before its obvious to everyone (again). A LOT of current new towers were hoped to be last cycle starts, several Rincon Hill, 535 MIssion, 350 Mission, etc. I didn’t expect (and am ever-appreciative!) that someone could describe something so wonky and analytical in such a straightforward, intelligent and comprehensible way. I will look for your byline in all my Socketsite scans. I believe Equity Residential is still trying to get rid of their Berkeley portfolio. I’m beginning to doubt whether Acheson Commons will see the light of day before the next downturn. They pulled it off the market. I still think Acheson gets built this cycle, but by EQR or another group remains to be seen. Anyone know what the asking price was for the Berkeley portfolio? I think these are the same properties that Patrick Kennedy top-ticked the last cycle with (selling to EQR). As a purely anecdotal note, my wife and I have been looking for a unit in a newer (but not brand new) high-rise building and have been shocked how many units have come up. It used to be, like, 10 one bedrooms and 3 two bedrooms at any given time, and is now about 25 one bedrooms and 10 two bedrooms. I’m not sure if there is seasonality to explain for this, but we’ve been wondering if residents are leaving for one of the brand new towers, coupled with the renting pool for a high-end high rise now being spread out over many other buildings. We may just wait a couple more months to see what happens in pricing for the “few year old” buildings as the brand new buildings come up.